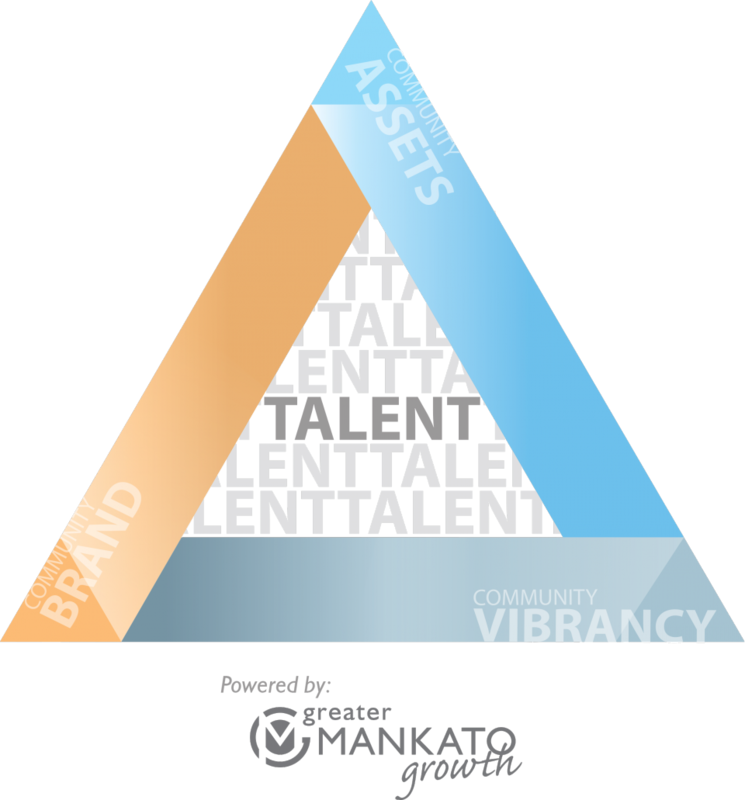 Check back often for upcoming events and resources related to talent attraction and retention! Receive up to $3,500 credit* on production of enhanced 360° video and/or still photos (depending on level purchased). For more information on how to become a subscriber and have a presence in the More Mankato (Kato X) virtual tours website, please contact 507.385.6640 or info@greatermankato.com. Click here to see the TOP TEN reasons to check out Kato X! The newly appointed Talent Council will provide the overarching leadership and support to the full portfolio of work. They will serve as the executive leadership team responsible for advancing our collective response to the looming talent shortage. 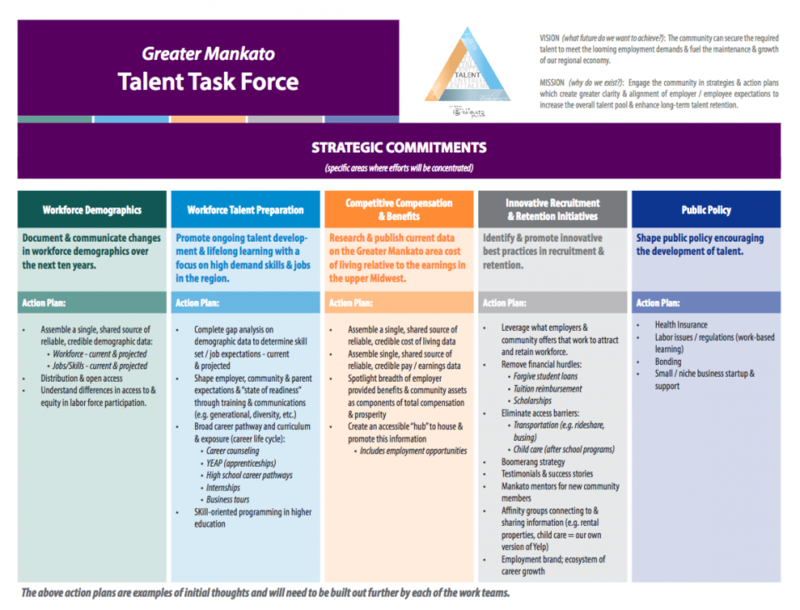 Using the strategic framework crafted by the Talent Fulfillment Task Force and built out by the key focus work teams, the Talent Council will help further relationships, access resources and if necessary remove barriers keeping us from achieving our goals. It’s been well chronicled that our economy faces a looming workforce shortage. This is perhaps one of the most critical and daunting of economic development challenges our region will face. A task force of 13 key business and community leaders, and reviewed by the Board of Directors and a focus group of business executives, have developed a framework whereby our community can undertake coordinated actions and responses that will not only fill normal job vacancies but also meet the growth of our regional economy. The Task Force will host a business/community Summit in January to present the framework. We invite you to join us as we collectively work, and more importantly engage and mobilize the broader community and business professionals to participate in developing and advancing solutions in areas where they can be most helpful. THANK YOU to all those who attended our second talent summit on March 28. It was a great turnout, with more than 160 volunteers participating in the strategic work sessions. Stay tuned for more information coming soon! 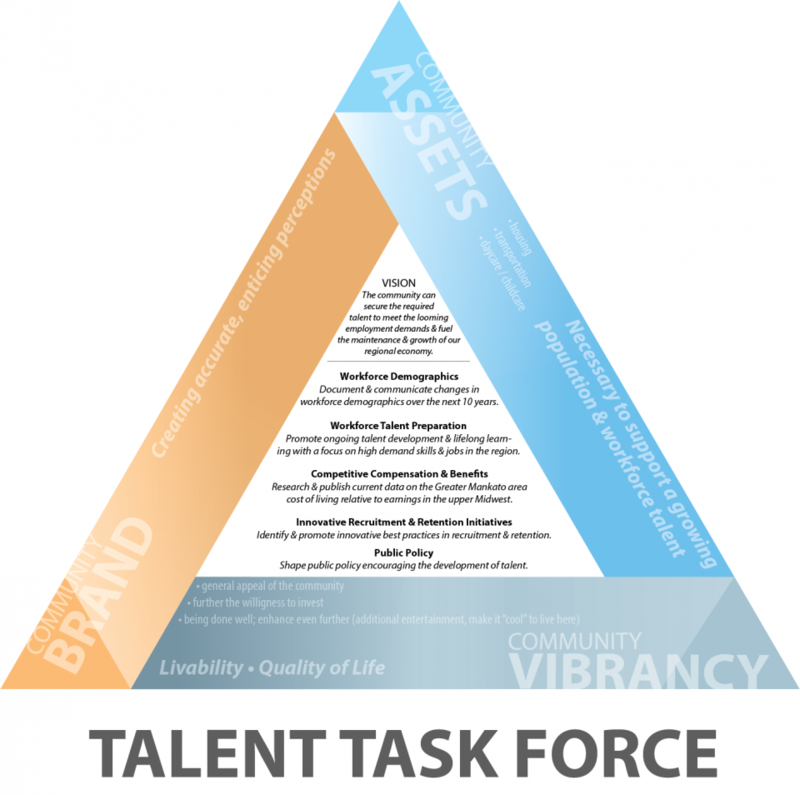 The task force strives to establish key strategic priorities and tactics to achieve the desired outcomes for Talent Fulfillment.